Today’s engineers face complex challenges that vastly differ from their predecessors in the chemical processing and oil and gas industries. Budgets and staff are shrinking, while concerns about safety regulations, the environment and the management of aging plants are growing, leaving a small amount of time to develop a skilled, educated and adaptable workforce. Modern-day engineers need real-time access to reliable answers and information, and for over 40 years, MTI has has been tapping into a global network of industry experts to help member companies improve their safety, reliability, sustainability and profitability. Today we create and assemble resources across time zones, and geographic and cultural boundaries. Our numerous benefits include in-person and online educational tools, numerous networking opportunities and our leadership in nonproprietary research projects. MTI helps member companies achieve bottom-line savings by transferring existing knowledge into commonly used practices and providing access to a network of materials experts to help with urgent problems. MTI represents producers, suppliers and organizations in the Refining, Mining, Energy Production, Food Processing, Semi-Conductor Manufacturing, Chemical Production, Paper & Pulp and Pharmaceutical Industries, as well as other industries that pump and store fluids. Our nonproprietary, member-driven research and projects are a key benefit of becoming an MTI member. Most individual companies are unable to provide both the funding and in-house expertise to quickly conduct research that will enable them to find comprehensive, high-impact answers to their problems. MTI’s community of expert solutions-finders provides member companies with opportunities to combine resources, leverage higher funding, utilize the power of networking and access a more diverse knowledge pool to solve critical industry challenges. In 2017 a total of over $500,000 was approved for projects, 27 projects were funded and 7 projects were completed. MTI regularly monitors and reports on trends that affect its members, addressing topics such as changing regulations, new developments in inspection and technology, corrosion and disappearing materials. Each new project fits into an area of focus, allowing MTI research to remain thoughtfully organized. The research conducted by MTI and its members is a collaborative process that allows for constant generation of new solutions and resources. 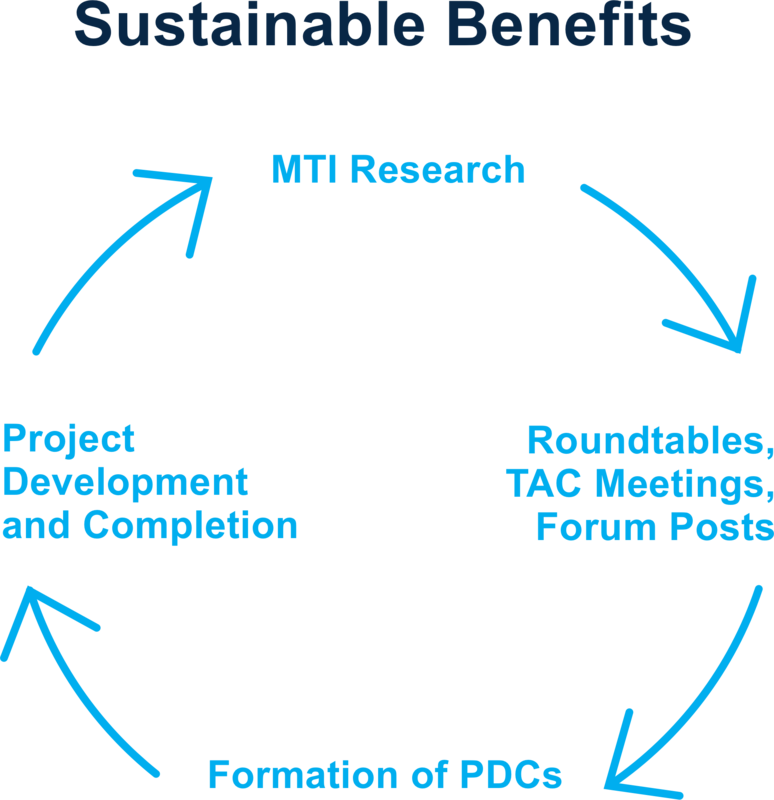 Many projects begin their journey within other MTI resources such as the TAC Forum, MTI-hosted Roundtables and TAC meetings. Project Development Committees are formed to work towards developing, funding, researching and completing new projects, and any MTI member can choose to join a PDC or even take on a leadership role as a Project Champion. Completed projects ultimately replenish and further improve the MTI e-library, TAC forum, future online training programs and other MTI resources. Collaborative research drives MTI and provides members with ongoing access to innovative new solutions, leadership opportunities and networking potential with other industry professionals. Click here to see current MTI projects. Want to learn more? Click here to browse MTI’s vast library of completed projects or here to become an MTI member to contribute to and benefit from industry-leading research projects. It’s not uncommon to hear a member claim he or she has covered the cost of dues many times over based on a single forum answer, project, or rapid access to one of MTI’s many other unique resources. This isn’t surprising when considering the high costs of full time employees, consultants, industry educational tools and the global cost of corrosion. Many of MTI’s resources are developed to address risks and factors associated with corrosion. 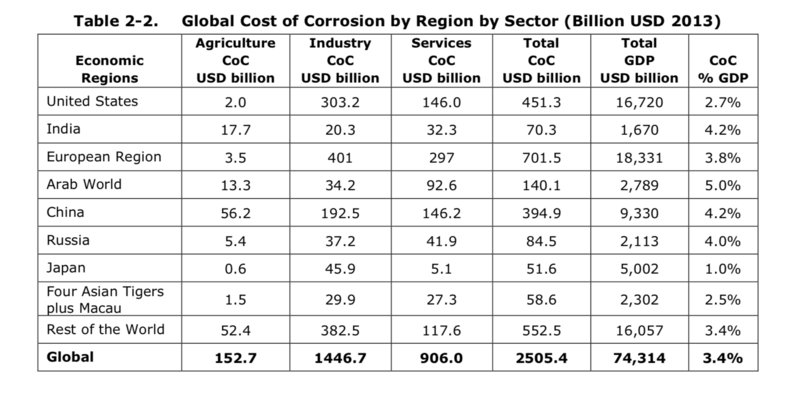 According to the 2016 IMPACT study released by NACE, the global cost of corrosion is estimated to be $2.5 trillion, which is equivalent to 3.4% of the global GDP. The efforts of our member companies have the ability to impact not just industry, but global costs of corrosion. According to the NACE IMPACT Study 2016, corrosion control practices have the ability to reduce the cost of corrosion by 15-35%. 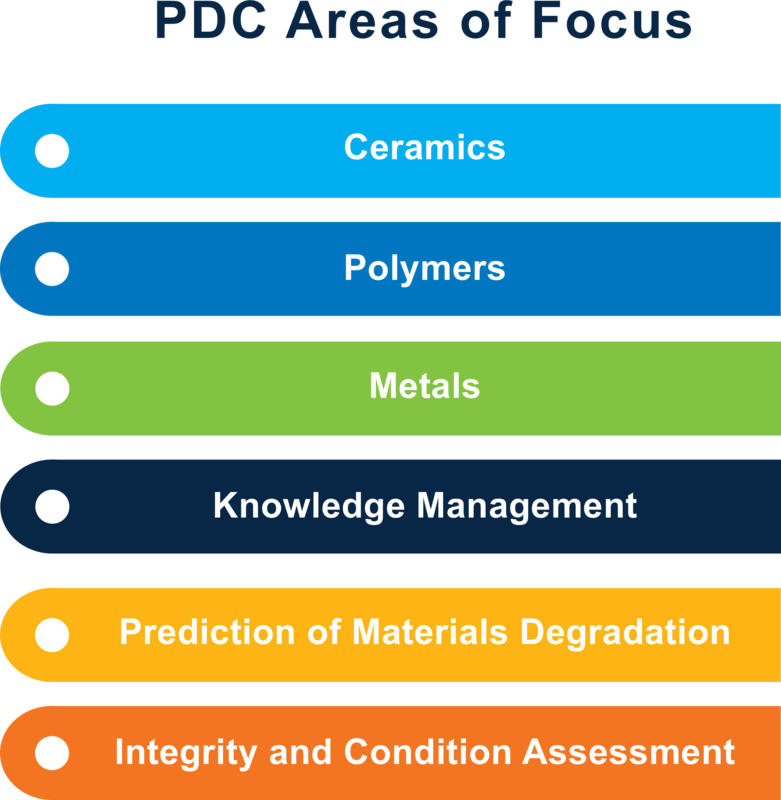 This means the resources and tools being developed, discussed and utilized by MTI and its members have the ability to help impact and reduce the global cost of corrosion. 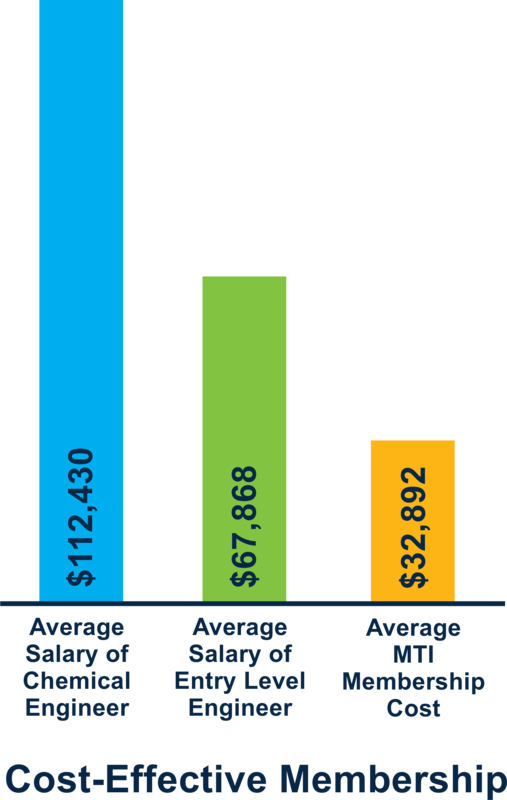 Even on a smaller scale, becoming a member of MTI is often less expensive than hiring a single full-time employee. Give your company the full benefits of a global community of industry experts, while saving time and money. MTI has two main types of members: Producers and Suppliers. A Producer member is any process industries company with chemical processing and manufacturing capabilities. A Supplier member is any company that produces and sells materials, products, systems or equipment used by producer companies. In 2016 the MTI Board of Directors approved a Producer/Supplier Ratio. MTI membership will maintain a 50/50 ratio of producer members to supplier members. Any supplier member inquiries will be reviewed using the membership application and will be added to a Supplier Waiting List. MTI membership dues are determined from the published 2019 MTI Dues Schedule. Dues are based on the total sales of all divisions of the member company for the most recently audited fiscal year at the time of invoicing. For members which do not publish audited sales or figures, such as privately held and state-owned corporations, the total sales must be certified by an officer. Membership dues for associations and other organizations (such as other non-profit industry associations) which do not have revenue from sales will be considered by the Board of Directors on a case-by-case basis.